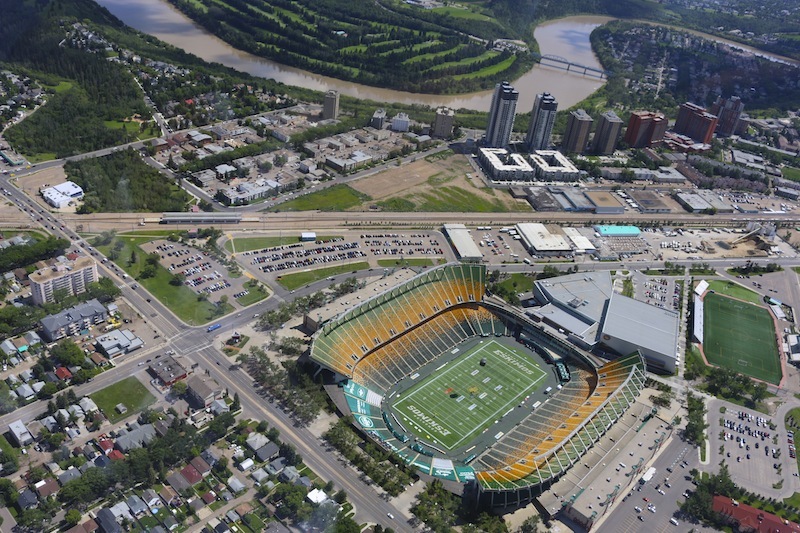 Our team trip to Edmonton already feels like a distant dream. But one of those gorgeous dreams where you keep remembering fragments of it and having flashbacks for years to come. A smell, a taste, the way a person says your name can bring back memories that instantly transport you there. And in my case, it’s slipping my feet into my new favourite shoes, wrapping myself up in a new favourite vintage jumper I bought while I was out there or catching a glimpse of one of the many photos from our trip that now adorn my walls at home. These photos bring back such gorgeous memories I just had to get them printed and displayed all over my house. 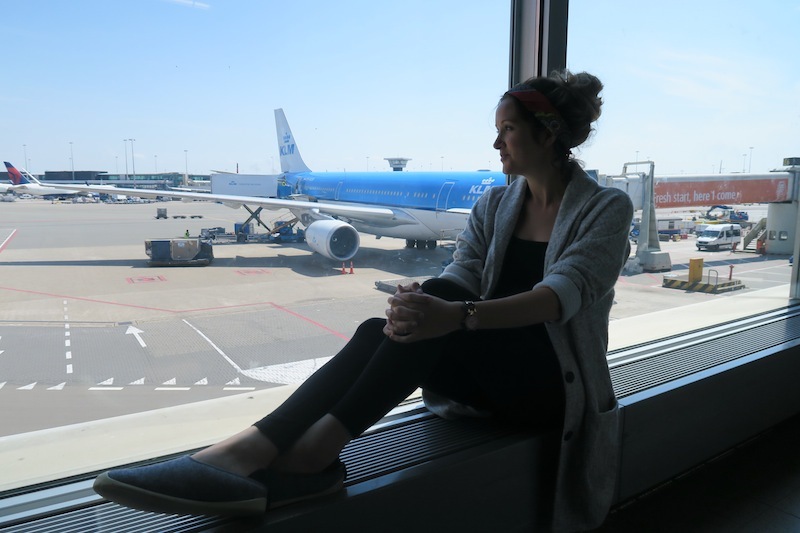 We arrived into Edmonton in the late afternoon after a flight via Amsterdam with KLM. We were in that hyper state that comes with a 50/50 mix of excitement and exhaustion. One minute we were staring into space like zombies and the next we were in fits of giggles. Hello, Jet Lag, my old friend! We checked into The Westin Edmonton where enormous, plush beds tempted us beneath the covers. Thick duvets with crisp, white sheets and pillows like fluffy clouds were beckoning us to test them out. But you’ll be pleased to hear we stayed strong and managed to resist a post-flight nap and went out for dinner instead! The Westin is more of a business hotel but I’d still recommend it for the perfectly location in downtown Edmonton. The rooms were also spacious with huge windows and great views, all the staff were lovely and there was easy parking in the basement. Elle even made use of their running club and running shoe hire! 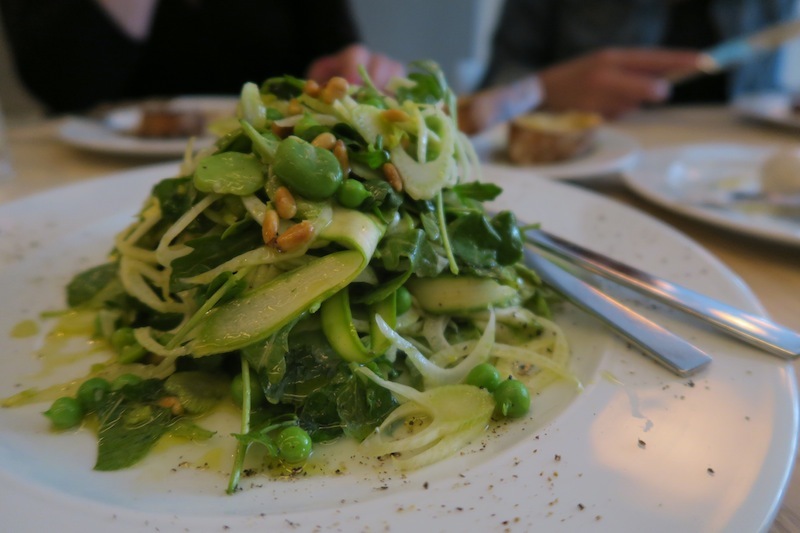 Our first fabulous meal in Edmonton was at Uccelino, a modern Italian restaurant with a fresh and welcoming vibe. In our hungry and over-enthusiastic state we ordered far too much food but were very happy to sample almost every delicious item on the menu! When we were so tired we could barely keep our heads from lolling onto the table we strolled back to our hotel and gave into sleep. Jetlagged sleep is the best! Our first full day in Edmonton began with a spot of shopping. What better way to start the day!? We headed to Poppy Barley, a shoe shop shaking up the footwear industry with comfortable, affordable, high quality and stylish shoes. Yes, I honestly just said all four things in one sentence. We had breakfast in the store with the super-cool and inspiring co-owner, Kendall Barber, to hear more about their beautiful shoes and the story behind them. Each pair is made in a family-owned factory in Leon, Mexico, and they’re designed for women who are ‘too busy taking on the world to have sore feet’. It’s a motto the three of us can relate to and we each proudly left the store with a beautiful pair of shoes and a new appreciation for good quality shoes. 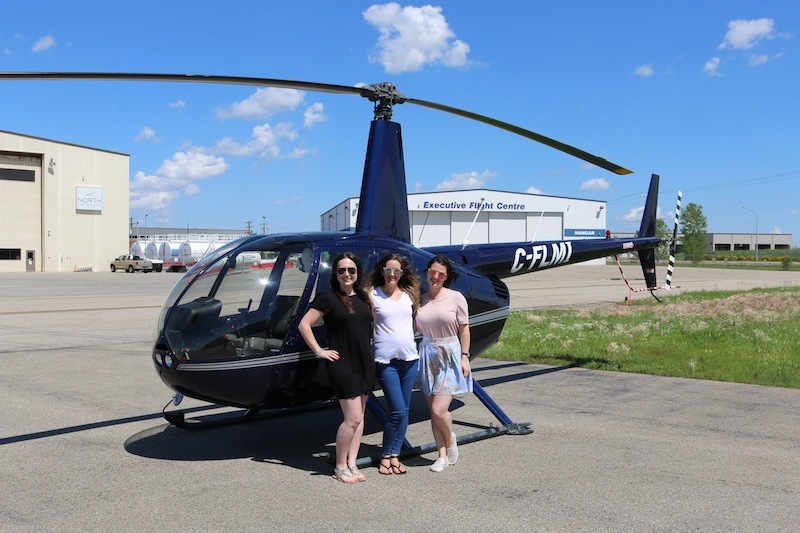 Our next stop was Edmonton’s Executive Flight Centre for a helicopter tour over the city! 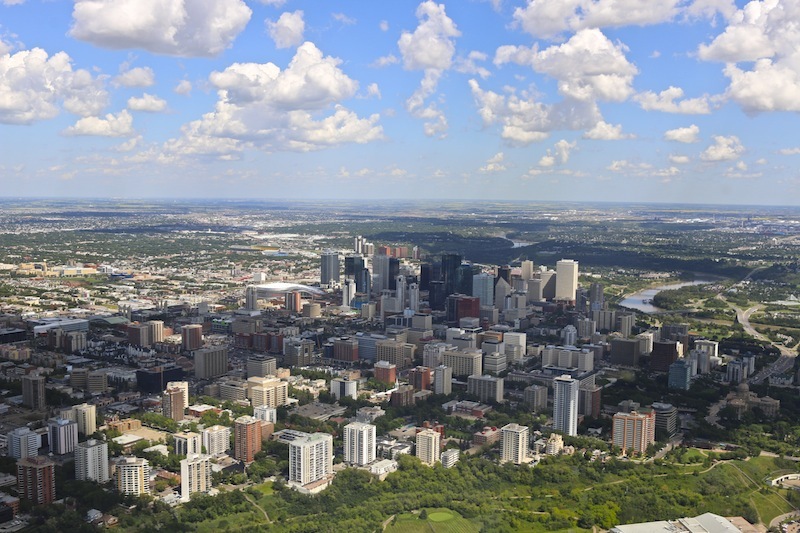 We were so lucky it was a clear and sunny day as we hovered up into the sky and followed Edmonton’s river valley into the city. Our gorgeous scenic views began with green and golden fields and then we saw everything in the city from Fort Edmonton Park, the Muttart Conservatory and the city’s new Ice District. In the late afternoon we made our way to the Interstellar Rodeo at the heritage amphitheater in Hawrelak Park. It was the perfect setting for a mini music festival. The sun was setting, the beer was flowing and the food trucks were serving up a storm as people set out their picnic blankets to sit and enjoy the music. 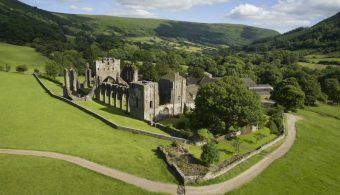 It was the fifth year the festival had run and it was another line-up that included a mixture of well known acts and rising stars. They pride themselves on giving people the chance to discover new acts and the three of us were very pleased to discover the incredible Andra Day. Check her out. She reminds me of a combination of Amy Winehouse and Rihanna. We headed to Have Mercy for dinner which had recently opened and had a lot of buzz around it. It’s above the already popular El Cortez which our fellow Travel Hack team member, Char, had raved about from trip to Edmonton. We indulged in Southern American favourites like mac and cheese, BBQ pulled pork and sausage sandwiches, shrimp ‘n’ grits and punchy cocktails. The following we day we drove out to Lake Louise in Banff National Park in the Canadian Rockies so keep your eyes peeled for that! I’m yet to visit Canada but a helicopter tour sounds like the perfect introduction! True that. It doesn’t get much better than starting any trip with a helicopter ride! Everyday would be a good day if it started with shoe shopping – especially at Poppy Barley!